We liked this small critter so much, that we sent a small gang in cryostasis to a faraway toy fair to hunt for the iconic xenomorph. 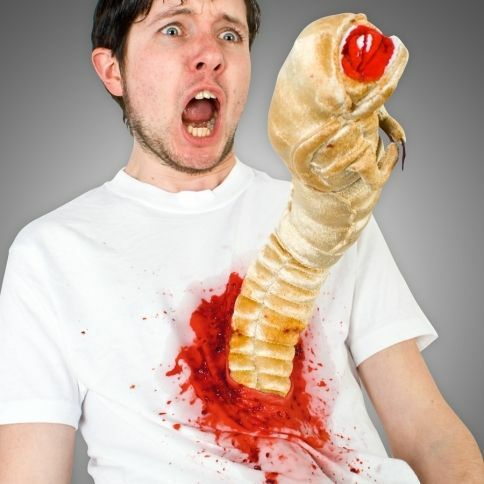 And even though only one came back, some 30 years later, he was carrying an Alien Chestburster Plush with him. These 1:1 replicas officially licensed by 20th Century Fox are funny yet slightly scary creatures. What's best, here's an opportunity to reenact the famous scene from the first movie. 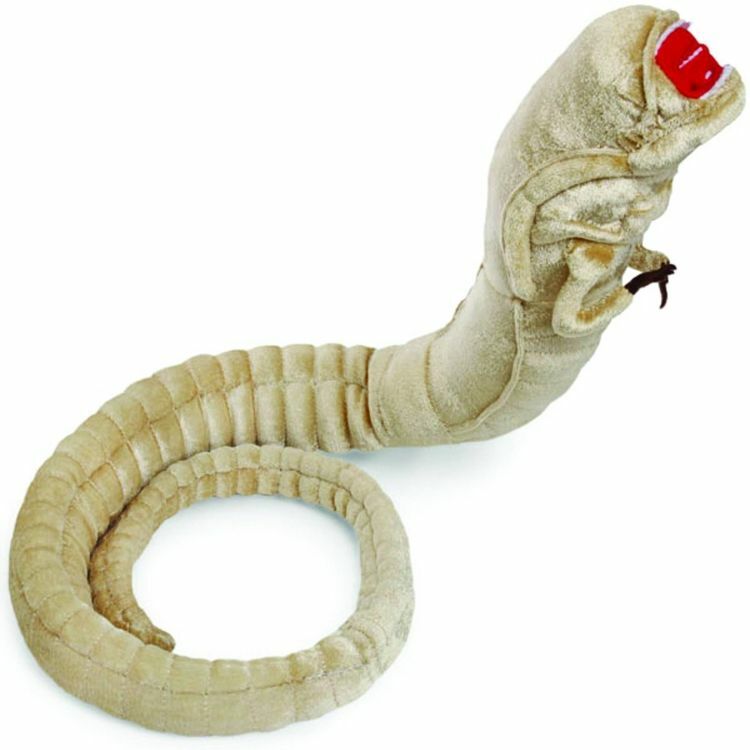 The soft worm is made of soft velour, and the colouring mimics the original accurately. In addition, a metal spine goes all the way through the chestburster, enabling you to twist it to different postures. It can also stand upright without support, and grins at you with a finely constructed mouth that's full of teeth. Yaikes! The Alien Chestburster Plush is made of high quality teddybear materials and is great as a bedtime toy or for scaring unsuspecting guests.